by Alan Caruba, Contributing Author: As this is being written, all fifty states have freezing weather and nearly a month before the winter solstice on December 21 some northeastern cities are buried in record-setting snowfalls. At what point will the public conclude that virtually everything that we have been told about “global warming” and “climate change” by the U.N. Intergovernmental Panel on Climate Change, (IPCC) as well as U.S. government agencies we’re supposed to trust has been bogus, based on computer models, none of which have proven to be accurate? 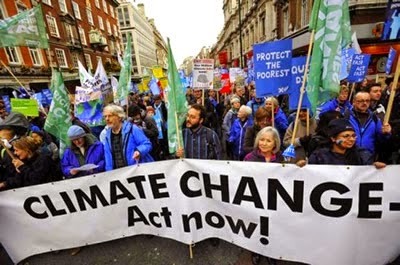 At what point will the public conclude that climate, a perfectly natural phenomenon so vast and so powerful, is being exploited in order to transfer large amounts of money from wealthy nations to those who are not? It is redistribution of wealth on a global scale. 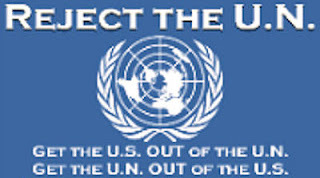 That is the primary reason for the U.N. climate fund. A total of $9.3 billion has been pledged by several nations. Morano is the Communications Director for the Committee For A Constructive Tomorrow (CFACT) and executive editor and chief correspondent for the award-winning ClimateDepot.com, a global warming and eco-news center founded in 2009. He has been on the front line of combating the lies told about global warming and climate change for many years. I have been an advisor to CFACT over the years, sharing information that has consistently debunked what I regard as the greatest hoax of the modern era. The worst part of the hoax was and is the billions that have been squandered on the bogus, useless “scientific” studies intended to keep it going. Then there have been billions more spent on the near useless “renewable” energy projects that have only demonstrated that wind turbines kill hundreds of thousands of birds and solar farms have the same affect. The electricity they produce is minimal and so unpredictable it requires the backup of traditional fossil-fueled energy plants. The near total lack of the impact of carbon dioxide in the Earth’s atmosphere on its climate has not stopped the U.S. Environmental Protection Agency from using carbon dioxide as justification for issuing a torrent of regulations that are crippling the provision of energy nationwide, attacking private property rights, and slowing the growth of our economy. Thanks to Mother Nature, Americans and others around the world experiencing the 19-year-old cooling cycle the Earth has been in are beginning to realize that humans have nothing to do with causing climate change. Sadly, too many world leaders, including our own, keep talking about climate change as if it was something we can influence by a reduction of “greenhouse gas” emissions. That’s just another way of saying use less energy. The world leaders are wrong. Some are just flat out lying. H. Sterling Burnett, Managing Editor, Environment & Climate News, Nov 25, 2014 noted, "According to Weatherbell: More than 85% of the surface area of the Lower 48 reached or fell below freezing Tuesday morning, November 18. All 50 states saw at or below freezing temperatures that day. "Boston.com reported 1,360 daily low maximum records were set, meaning those 1,360 cities and towns saw their coldest daily highs ever recorded. In addition, snow covered more than 50 percent of the country, more than twice the coverage the U.S. usually experiences in mid-November CNN reported areas in Buffalo, New York, among other cities along the Great Lakes, experienced a year’s snow in just three days." Tags: climate change, cash, global warming lie, Alan Caruba, warning signs To share or post to your site, click on "Post Link". Please mention / link to the ARRA News Service. and "Like" Facebook Page - Thanks!